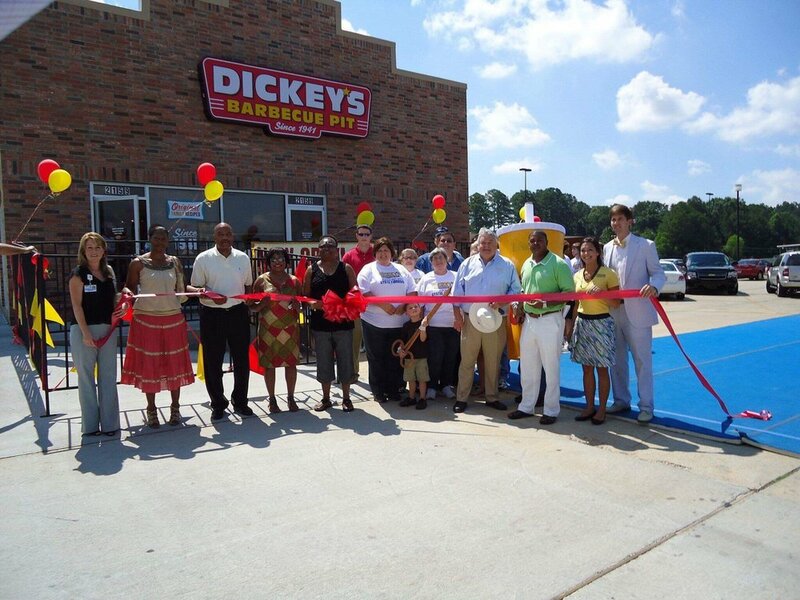 Dickey’s Barbeque Pit became a part of Laurel’s 16th Avenue scene when it opened its doors on May 11, 2010. Owned by Brent and Jennifer Lambert, and Jennifer’s mother, Mildred Barnes, this family team has brought a franchise restaurant to a local level with a hometown feel. Brent and Jennifer met in 1993 while working at the Bonanza steak house in Laurel. They both loved the atmosphere of a food establishment because working with the public and meeting new faces every day is something they both love. It only takes meeting them once to see that they have both have a heart for service. After Bonanza, Brent and Jennifer also both worked at Captain D’s and McAlister’s Deli before deciding to try their own hands at restaurant ownership. They did their research and talked to several franchises before deciding on Dickey’s. “We chose this franchise because we fell in love with the fall off the bone ribs the very first time we tried them,” said Jennifer. The couple also felt confident after talking with representatives of Dickey’s that the restaurant would be a good fit for their family. They liked knowing that the business had been around since 1941, and thateven from early beginnings in Dallas, Texas, it was and still is family-owned and operated. The Lamberts aren’t afraid to put in the hard work that is necessary to keep a business thriving either. Become a frequent patron of Dickey’s and you’ll find that you see Jennifer often working on the front line. It’s an added bonus to see her smiling face when patrons come to fill up on some excellent barbeque. Brent and Jennifer also believe in giving back to the community. They love being able to assist area schools and churches with fundraisers. They also offer a 10% discount for military service members, first responders, employees of South Central Regional Medical Center and senior citizens. And if that’s not enough, kids eat free on Sunday! Whether you’re hungry for lunch, or you’re looking to have your next big event catered, hop on over and pay our local Dickey’s a visit. And don’t forget to grab your big yellow cup! If the old-fashioned red truck that sits in a parking lot on 16th Avenue in Laurel has piqued your interest a time or two, you are not alone. As the highest-trafficked street in town, thousands pass by each week, and the truck is hard to miss. In fact, it has become a bit iconic on 16th Avenue. The truck belongs to State Farm agent, Brian Ginn, and not only is it a part of his brand, but it’s also a part of his life. “My grandfather bought the red Ford F-100 brand new in 1978, the year I was born,” says Brian. Brian learned to drive on that three-speed Ford, and he inherited it about ten years ago. “When an opportunity with State Farm came, I thought that it would be a great branding tool to use for the business,” he says. The truck can be spotted in local parades, festivals and at events. His 16-year-old daughter recently drew a picture of the truck, and Brian has used that image on t-shirts and coffee mugs to give away to his customers and friends. Brian has been a State Farm agent in our community for five years. While we often see clever ads on television about Jake from State Farm, it’s easy to wonder what really sets Brian apart from all the other insurance agents these days? Brian attributes his growth over the past few years to his team members and customers. As a family-owned business, daily tasks and projects are built on trust. Brian credits the success of his business to those who surround him. His gratitude tells us that he’s likely to stick around for a while, taking care of our community. Brian is a Columbia native, and he and his wife and four daughters have lived in Laurel for just over ten years. He graduated from William Carey University in Hattiesburg, where he met his wife. He is a dedicated husband and father, staying involved with activities that are important to his girls, who range in age from eleven to eighteen. Brian chose insurance, and State Farm in particular, for a few reasons. It has always been a goal of his to own a business, and he is passionate about educating and helping others. He says, “With all of the products that State Farm has to offer, from retirement planning to asset protection, I am able to accomplish what I love to do, which is help people.” Understanding that families and individuals have specific needs when it comes to risk management, Brian loves putting together plans that allow them to accomplish their goals. With a career in insurance, Brian often hears from and sees people during the worst of circumstances - recovering from a car accident, a house fire or loss of life. Brian appreciates that his clients trust him to be there in times of need. He feels affirmed in his career choice knowing he can help put someone’s financial needs at ease after loss, whether it be through a life insurance policy, or even by helping them to find temporary housing and basic necessities in the event of a home loss. Just as much as Brian is thankful to be a part of our community, we are thankful to have him here. We’re especially proud to have him as a Shop 16th Patron. 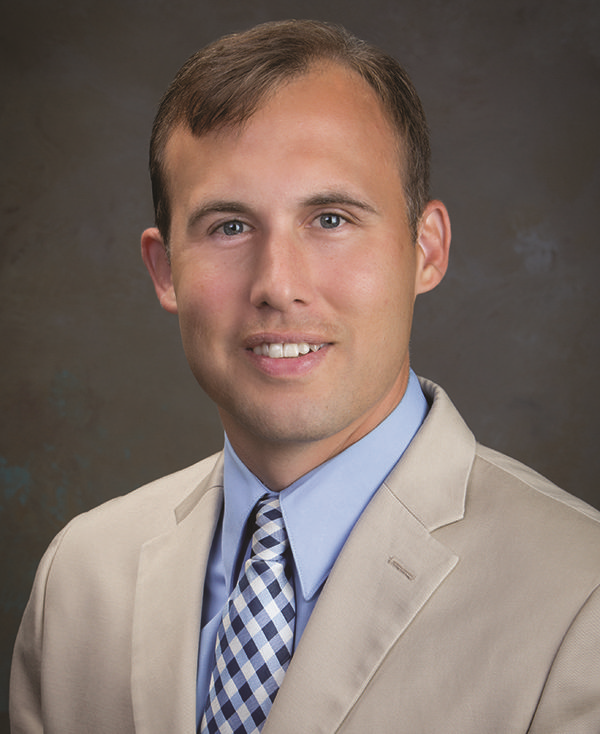 To contact Brian, call 601-649-0120, on Facebook at Brian Ginn - State Farm. Or follow the red truck on Instagram by searching his account, @followtheredtruck. The holidays are upon us. It’s time to start making lists and setting shopping budgets, knowing for certain we will exceed them well before Christmas. We can always make a New Year’s resolution to rid of that debt we accumulated in the last 45 days, right? By mid-December, we’ve purchased gifts for Dirty Santa at work, the ornament swap with our church group, a gift exchange with college friends and something for the relative we barely know. No matter how long your list becomes, consider this simple chant for the holidays – shopping small helps us all. Next week is Black Friday, followed by Small Business Saturday, the biggest day for local shopping this year. And while the name of the day may give us the warm and fuzzies, the convenience of Amazon can often overpower our commitment to local business. The shop small message is so much more than a trending hashtag. It affects every day of the year for the local business owner and the community where the store is located. Local shopping releases a domino effect that touches families, schools and political decisions in our very town. Here are a few key ways your local purchase makes a difference in Laurel, Jones County and the State of Mississippi. Locally-owned businesses generally consider domestic manufacturers before outsourcing overseas. In fact, many of the businesses in our town carry American-made, Mississippi-made and Laurel-made goods. Just last week, I saw three social media posts from different businesses here in Laurel showing off their selection of Jones Bones, dog treats made locally by Rena Register. It made me so happy to see business owners get excited about supporting one another. And even if what we buy from local stores isn’t made in Laurel, it’s highly likely it was made in a town just like Laurel. Supporting our neighbors is important, too. Making one purchase locally can impact multiple people in our community. From makers like Rena in my example above, to the employees who work for the business itself, we need thriving businesses that can support and employ locals. The extra effort we make to buy from a business a few blocks away means our neighbors, family and church friends have job security. Local businesses depend on us to show up, both on Small Business Saturday and every other day of the year. The last time your child had a baseball team to sponsor, who offered their support? Most likely, it was a local business owner. The businesses in this community support us, our kids, school functions and raffles. They serve as drop-off locations for collecting donated items for those in need, and they help us spread the word about causes and events. They are an enormous part of what makes our community tick. Whether it’s a small town or a big city, there’s always that building considered to be an eyesore. Thankfully, we are blessed to have a some great people in this town that care deeply about revitalizing abandoned buildings. More often than not, these “eyesores” were once local businesses. If a business is left unsupported, it cannot thrive. Yet, if we support local businesses, more will come, and we’ll have the luxury of a variety of options when we shop. If it’s the convenience of Amazon that keeps you on the couch, let me offer a few resources for you. The Jones County Chamber of Commerce is making the holidays easy for us by offering a local shopping guide at www.jonescounty.com. Also, laurelmainstreet.com and www.shop16th.com offer a list of businesses who would love for you to shop with them during the holidays. Go ahead and use the hashtag #smallbusinesssaturday if it makes you happy. But, most importantly, when you look at your shopping list, challenge yourself with making every purchase on the list a local one. Written by Laura Johns at The Small Town Creative. When Deana Stevison studied cost accounting as a student at Jones County Junior College, she never expected to become one of Laurel, Mississippi’s most preferred specialists in home design at a time where the town sits in a national spotlight. Having inherited a hard work ethic from her father, Deana claims that starting her career with a boss who took her under his wing was a major factor in inspiring her to always be eager to learn new things. This has positioned Deana as one of the most knowledgeable and coveted home designers in the community. Throughout her career, Deana has worked for a fabric manufacturer, a carpet company, a furniture store, a paint and decorating store and, now, at City Home Center on 16th Avenue in Laurel. “Looking back, every place I worked through the years seemed like a new opportunity to hone my craft and improve upon my design skills in different ways,” said Deana. In her roles at each company, she felt a consistent thread of ‘outside the box’ learning, even to the point of completing numerous sewing and art projects as the bookkeeper at McLaurin Carpet in Soso. For the last eight years, Deana has been become a fixture as a lead designer at City Home Center. While most schedule appointments to get Deana’s undivided attention, any given day, you will notice people waiting in line outside Deana’s door to pick her brain on their design projects. Perhaps one of Deana’s most coveted skills – the ability to make a project work well for the client rather than simply to look good. “I’m about the pretty, but I’m also about the functional and technical,” said Deana. After nearly 34 years in the business, Deana has been involved in both commercial and residential projects throughout the state. She is now finding that many of her new clients are often children of couples she helped design homes for decades ago. She has also found that repeat customers become the norm. “I have several clients I’ve done four or more homes or projects for over the years,” Deana said. “My clients are like family." Her jack-of-all-trades reputation has been especially beneficial for customers of City Home Center. Regardless of the need, customers can expect Deana to play the role of measurer, designer, painter, contractor or just a friend with a knack for what flooring works best for pets. Needless to say, everyone needs a Deana. To get more great ideas for your home, visit the City Home Center website at www.cityhomecenter.com. Laurel’s 16th Avenue is arguably the busiest highway in town, so it’s not surprising that it’s sometimes often easy to miss some of its hidden treasures. But Sake Restaurant, a Laurel staple since 2009, is one place that’s all but hidden. It stands out among the eateries in town as a local business with outstanding sushi cuisine, excellent service and friendly staff. In addition to serving delicious Japanese food, Sake likes to stay involved in the community with events like the upcoming Shop 16th Fall Festival and Trunk Show. At this event, Sake will host a booth with games for children attending the event. Quarells believes that being located on the major corridor of 16th Avenue has allowed the staff at Sake to meet a lot of people from all over the country. Sake offers a daily lunch bento box and hibachi lunch special, as well as evening activities and specials throughout the week, including buy one dinner hibachi, get the second half off. To view a menu, visit www.sakecafelaurel.com. On Monday, October 29th, 16th Avenue was filled with trick-or-treaters getting an early start on their Halloween celebrations. 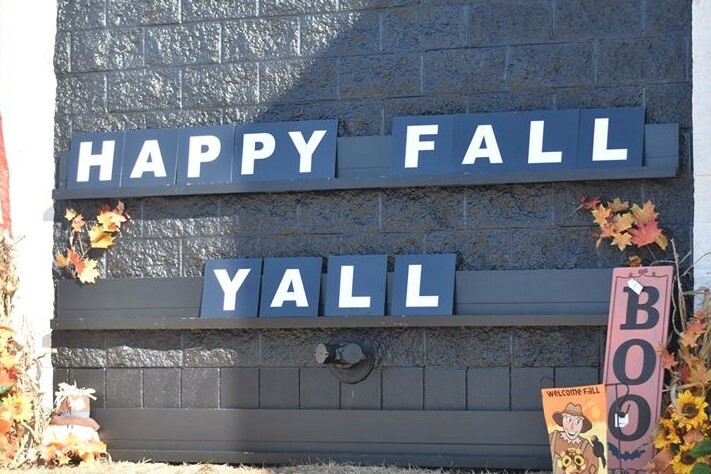 Over 500 people took advantage of the first-ever Shop 16th Fall Festival in the parking lot of Rubies Home Furnishings. With a last-minute date change due to rain, organizers were excited to see such a large number of people from around the community come out to enjoy the festival and support local businesses. The event was sponsored by the Jones County Chamber of Commerce and all current Shop 16th Patrons (to see a full list, visit www.shop16th.com). The event was an effort to showcase and promote community, local shopping and tourism in Jones County. At the festival, 27 vendors from throughout the community hosted children’s games and offered candy, food or sweets at their booths. Each vendor was encouraged to provide a game or activity for children. Among the most popular booths were State Farm Agent, Brian Ginn, who hosted a “needle,” or piece of candy, in a haystack from the back of his famous red truck. Tammy Robinson of Let’s Make Something, a local fabric and quilting shop, featured a Tic-Tac-Toe board that she made by hand. City Home Center offered free handprints on tile in a seasonal turkey or pumpkin design. And, as with most successful events in our community, balloons by Mr. Silly Socks were a crowd favorite. To learn more about Shop 16th, see a list of Shop 16th Patrons or to become one, visit www.shop16th.com. Walk into local fabric store, Let’s Make Something, on any given day, and you’ll notice that you feel like family as soon as you step across the door’s threshold. Owners Tammy and Wade Robinson have set up a shop that will take you back to a time when things seemed simpler, and you’re sure to become fast friends as you spend time shopping in their store. Tammy moved to Sandersville, Mississippi from New Jersey when she was just five, so she calls Jones County home. Ask her why she chose this business, and she’ll tell you that she can’t remember a time when she didn’t sew. Her father had surgery when she was a young teenager, and she needed to have something to do inside the house while he was recovering. It was her father who introduced her to quilting. Tammy also had a friend who quilted and that friend taught her even more. Tammy said that her neighbor had a long arm quilting machine, and she had to have one, so now she does in her own home. While encouragement was poured into Tammy during the planning process and the business’s beginning, you’ll find her to be a true blessing herself and one of the most caring people you’ll ever meet. She shows love to others through her teaching and her generosity. “I love helping and encouraging customers to make quilts to give,” Tammy explained. The shop collects quilts for the Jones County Sheriff’s Department to be placed in deputy vehicles and given to children in crisis. Tammy has also been given the opportunity to work each month with ladies going through addiction recovery typically through small projects. She said, “It is always fun to see their faces when they make something for the first time. I never leave them without a full heart.” It’s no secret that you’ll never leave Let’s Make Something without a full heart. Often when customers visit her store for fabric, they also leave with an encouraged spirit, which is always worth far more than any fabric money can buy. In addition to fabric and cotton for quilting, the store also sells small items made by its owners, including burp cloths, bibs, potholders and even embroidered baby quilts. Tammy also now uses her long arm quilting machine to stitch quilts for customers and friends – the same machine that she purchased years ago after seeing her neighbor with one. Let’s Make Something is a hidden jewel, tucked away on the back side of the State Farm building just south of Wal-Mart. Tammy loves their location, as it is right along 16th Avenue, yet still somewhat privately situated of the lower level of the building’s back side. The store is open Tuesday – Saturday from 10 a.m. – 5:30 p.m. and Saturday from 10 a.m. – 2 p.m. To keep up with new shipments of fabrics, or dates for upcoming classes, you can find and follow Let’s Make Something on Facebook. On Friday, October 5th, Rubies Home Furnishings on 16th Avenue will celebrate its first birthday. The store acquired its own name in 2017 after owners Kim Smith and Karlyn Pugh began to notice a clear distinction in clientele and customer needs at their business, City Home Center. Today, Rubies offers one of the broadest selections of furniture, home décor and gifts in Laurel. The store will celebrate by offering refreshments on Friday and Saturday, October 5th and 6th, as well as 15% off all furniture and fall decorative items. From 2013 to 2017, both spaces remained under the City Home Center brand, but the separation of the two stores on opposite sides of the parking lot brought clarity for the sisters. “We knew it was only a matter of time before we would consider a new name, and, truthfully, our customers eventually made the decision for us,” said Karlyn. A customer told Karlyn that she had to convince a friend that City Home Center offered more than just building supplies. “That was a moment of clarity for us,” she added. On October 5, 2017, Rubies Home Furnishings was born. Kim and Karlyn chose the name as a tribute to their father, Larry Loftin’s, mother, Rubie Sherman. “She was a true Proverbs 31 woman,” Kim said. Proverbs 31:10 states, “Who can find a virtuous woman? For her price is far above rubies.” Karlyn and Kim agree that the best thing since Rubies got its start has been the reactions of those who knew their grandmother. “The community has affirmed that she would be proud, and that’s the most rewarding part of this whole year,” Kim said. In addition to offering major furniture and décor brands, Rubies Home Furnishings sells unique and highly-sought after items like Coton Colors, a brand of dishes and attachments for collectors. The store also offers custom floral design and an in-store bridal registry. Rubies is open on weekdays from 9 a.m. – 5:30 p.m. and Saturday from 9 a.m. – 3 p.m. For more information about Rubies Home Furnishings, you can find them online on Instagram, Facebook and by going to their website, www.rubieshomefurnishings.com. On Thursday, October 25th, 16th Avenue in Laurel will celebrate the launch of Shop 16th, a collaboration between 16th Avenue merchants and the Jones County Chamber of Commerce. The Shop 16th Fall Festival and Trunk or Treat will take place in the parking lot of Rubies Home Furnishings from 3 to 7 p.m. The purpose of the festival is to observe the official kick off of Shop 16th, an effort to showcase and promote community, local shopping and tourism in Jones County. The event will include live music, food from various 16thAvenue merchants, wrapped candy for children, games and other activities. Attendees will have the opportunity to receive a special card from Shop 16thvendors at the event. Cards that are used at five Shop 16th Patron businesses the following week can be turned in at Rubies Home Furnishings for a chance to win a large Shop 16th gift basket. An meeting will be held at City Home Center on Monday, October 1, at 5:30 p.m. for any 16th Avenue business interested in participating in the upcoming festival. To learn more about Shop 16th, see a list of Shop 16th Patrons or to become one, visit www.shop16th.com/registration. There's no better time to live, shop and play in Laurel. And 16th Avenue is the central highway that gets you everywhere you need to go. As the primary highway running from I-59 all the way to North Laurel, 16th Avenue has restaurants, bakeries, furniture, gift shops, home improvement, dress shops, boutiques and most of the city's professional businesses like banks, insurance agencies and more. You can shop all of these places without having to leave 16th Avenue! Of many things that shopping 16th Avenue offers, two of the most important are convenience and variety. Need fresh produce? Check. Grabbing a gift for a birthday party this weekend? Done! Need a new kitchen table? You got it. Renovating your bathroom? 16th Avenue has you covered. Rarely in any small town does one avenue carry so much - both from local business and beyond. A Taste of Laurel Tourism. For those who can't get enough of our town, we are glad you choose to visit Laurel. We encourage you to see the sights of our quaint downtown area and, of course, on 16th Avenue. From our lodging options to the best sweet treats in town, 16th Avenue has shopping that you can't get anywhere else in Laurel. We invite you to take a drive down 16th Avenue to see what we have to offer! Local Business. While 16th Avenue has the variety of several franchise businesses, it is also comprised of nearly 80% local business. By choosing to Shop 16th, you are supporting businesses owned by friendly folks who live right here in Laurel. Hassle-free Shopping. Most families are busy enough in the day-to-day that having to drive all over town or even out of town to all the things on the to-do list can be a hassle. On one street, you can make a few stops to get all you need without even having to leave the avenue. Who doesn't love hassle free? If your business is on 16th Avenue, now is your chance to shine. Become a 16th Avenue Patron and have blog content written and social media content created about what's going on with your business. Plus, take part in regular 16th Avenue shopping events, festivals and more. Plus, all Shop 16th Patrons get their business listed on this website, as well as a Shop 16th brochure and map to be placed at all 16th Avenue Patron businesses. Special thanks to the Jones County Chamber of Commerce for your support of Shop 16th. All 16th Avenue Chamber members receive their first month as a Shop 16th patron FREE.